Kennesaw State University is a member of the University System of Georgia and the third-largest university in the state and one of the top 50 largest universities in the United States. Kennesaw State University (KSU) has a multitude of academic programs in business, education, engineering, School of Art and Design, Computer Science, Systems and Industrial Engineering), Humanities and Social Sciences, nursing, physical sciences, information technology, criminal justice, and sports management. Kennesaw State University (KSU) is situated in the U.S. state of Georgia with two campuses, one in Kennesaw and the other in Marietta. 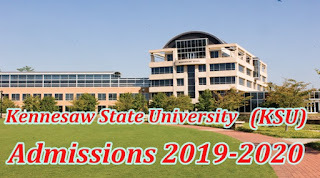 Kennesaw State University (KSU) University offers 80 undergraduate and graduate degrees, 52 bachelor's degrees, 21 master's degree, and five doctoral programs. 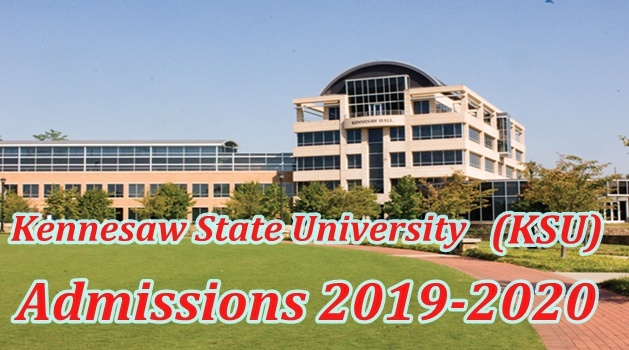 Important Note: These are the current Admissions programs offered by Kennesaw State University.